If you're a heavy user of your iPhone, you'll be aware of the need to keep your battery topped up. You could carry around a battery pack, or you could stick your charger in your pocket in the hope that you'll be a near a power outlet. Or, you could invest in one of Apple's official charging cases. The iPhone-maker has just launched a trio of smart battery cases -- for the iPhone XS, XS Max and XR -- which allow you to protect and charge your phone at the same time. Priced at $129, the battery cases are not exactly cheap, but they meet an important need. Each case can be used in conjunction with a compatible wireless Qi charger, and black or white options are available in each instance. The price for each model is the same, although they offer differing performance. 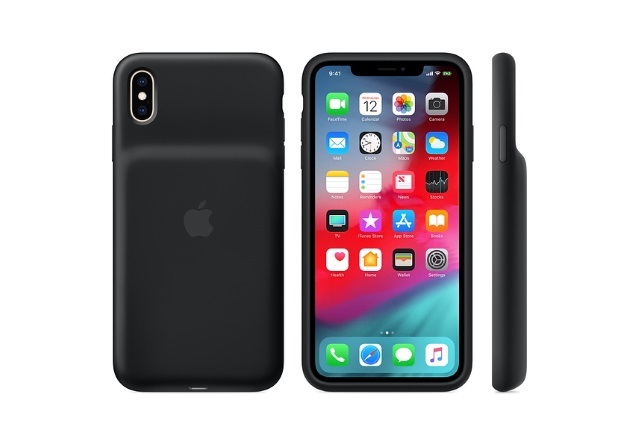 The iPhone XS Smart Battery Case offers up to 33 hours of talk time and 21 hours of web usage, while the iPhone XS Max Smart Battery Case offers 37 hours and 20 hours respectively. For the iPhone XR Smart Battery Case, the figures are 39 hours and 22 hours. The Smart Battery Case gives you even longer battery life while offering great protection. Inside, a soft microfiber lining helps protect your iPhone. And on the outside, the silky, soft-touch finish of the silicone exterior feels great in your hand. A soft elastomer hinge design makes it easy to put the case on and take it off.